Mt. Yoshino is well known for one of the most beautiful cherry blossom sites in Japan. Cherry blossoms on Mt. Yoshino have been conserved and worshiped as the sacred trees for more than 1300 years. In spring season, more than 30000 cherry trees are blooming and the mountain is covered by pinkish veil. Spring is not only the season that visitors can enjoy seeing the mountain. They can feel natural beauty anytime they want to come to the mountain. In summer, these pink trees change their color to fresh verdure. In autumn, green leaves become red like flame. In winter, silvery white snow cover the mountain and the mountain prepare for next spring. Additionally, the visitors can find many unique souvenir shops, cafes and restaurant while climbing up the mountain. 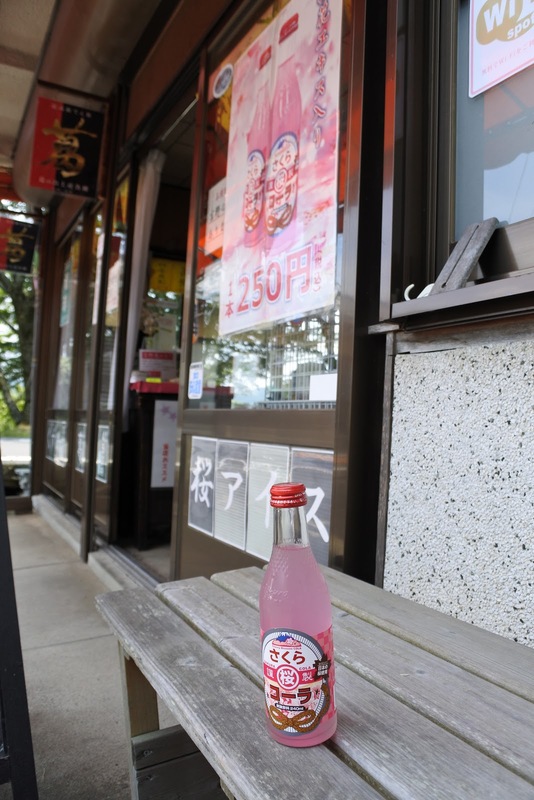 You can eat SAKURA(cherry blossom) flavored rice cakes, ice cream and coke. Mt. Yoshino is good to see, good to buy and good to eat. To access Mt. Yoshino, it is better to take Kintetsu Yoshino Line trains. If you get off the train at Yoshino Station, you can see a ropeway station nearby Yoshino Station. Visitors can climb up the mountain by cars, on foot and by the ropeway. The ropeway enable the visitors to watch 360-degree panorama view of Mt. Yoshino. Because of the ancient tradition of nature worship in Japan, Mt. Yoshino was designated as part of a UNESCO World Heritage Site under the name "Sacred Sites and Pilgrimage Routes in the Kii Mountain Range" in 2004. Also, Yoshino-cho became a member of the association of "The Most Beautiful Village in Japan" in 2012.